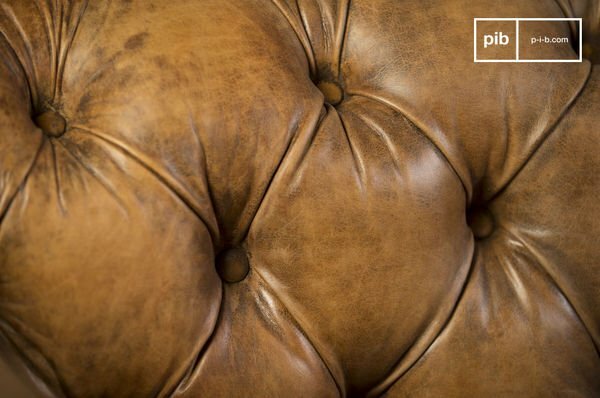 Where do leather sofas fit? 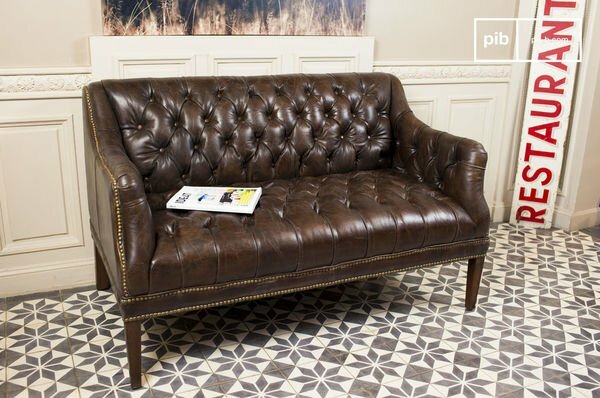 a classic piece of furniture you might want to opt for a chesterfield vintage leather sofa. These leather sofas can be found in both traditional and modern styles. The recent major comeback of the iconic sofa makes it a popular choice amongst the wide array of design styles available today. Due to its striking appearance, this classic piece draws all the attention in a room and doubles as a cosy centrepiece which will surely give a room a touch of warmth both aesthetically and physically speaking for any guests who wish to take a seat, as well as yourself. 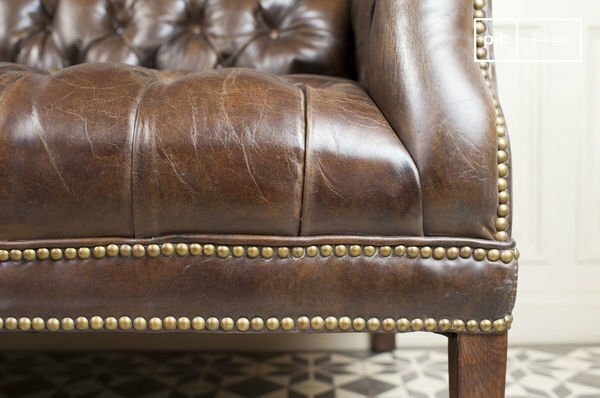 The chesterfield is a British furniture icon that remains synonymous with elegance and class. 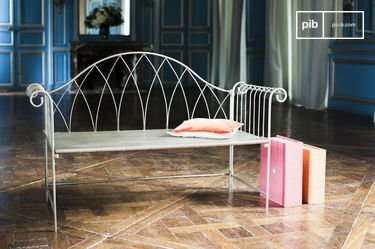 There is no doubt that it has become a timeless piece of furniture that has been able to defy the ruthless realities of time and fashion. As one of the oldest and yet most popular sofas, it is no surprise that the chesterfield sofa is referred to as "the king of sofas" Or the "mother of all sofas", due to its unquestionable elegance available at a reasonable price. Many have tried to trace the origins of this wildly popular sofa, but few have managed to find any concrete facts supporting their theories. While some may claim the name was adopted, anecdotes tell a different story. According to various people who have knowledge on the subject, it was apparently named after the fourth Earl of Chesterfield, Philip Stanhope (1764 - 1773), who was a renowned diplomat and sort of fashion expert of the times. 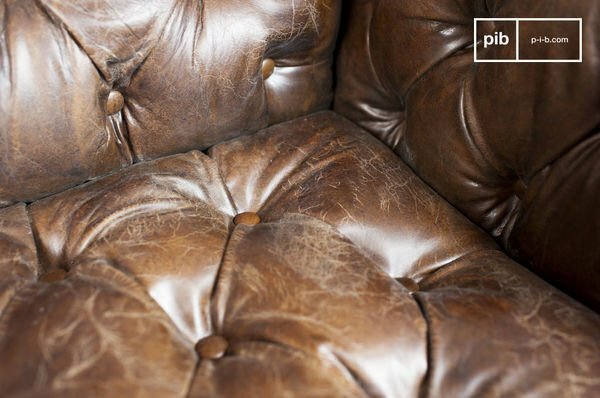 He was believed to have commissioned the very first leather chesterfield sofa, which possessed the deep-buttoned backrest and arms, leather upholstery and large cushions that are synonymous with the illustrious sofa today. The earl's reputation as a classy gentlemen with a taste for elegance, is thought to be one of the reasons as to why the sofa retained the earl's name. It is also believed that soon after the creation of the original, the single seat chair was made to complement the larger three seat version. Other experts on the subject point out that the first sightings of the mysterious sofa in art and literature are dated to a much later date, which would essentially eliminate the theory that the earl was responsible for the conception of the ever so coveted classic. However another rendition states that "chesterfield" traditionally referred to the practice of buttoning the leather backrest or even the height of the seats in comparison to the arms. Whatever the truth may be, the chesterfield sofa continues to be as iconic as it was hundreds of years ago. 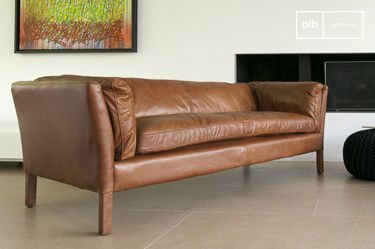 Despite the age of traditional leather sofas, such as the chesterfield sofa, the classic brown leather version is as popular as ever. The revival of this British furniture icon in the last century, could be attributed to various events and designers, but in more recent history the resurgence in the last 50 years could be partly credited to acclaimed British designer Terrence Conran and his decision to place the sofas amongst the more modern furnishings in his stores in order to strike a balance. Historically speaking, the use of dark leather has a been a common fabric used for the upholstery of sofas. As a result of popular demand sofas and chesterfields to be specific, are still usually adorned with dark neutral tones or gem shaded leathers that help accentuate the sofa itself within a room. 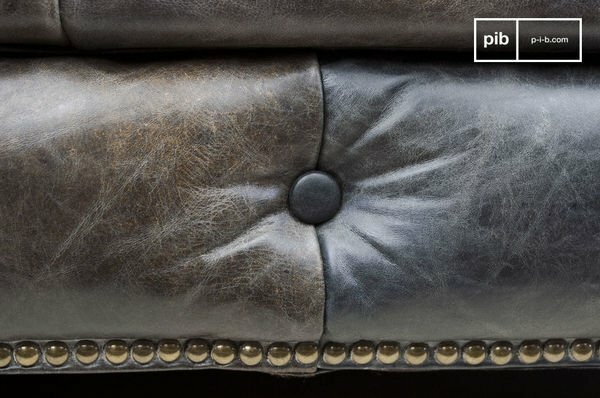 A distressed style creates a beautiful classic feel which allows the leather sofas to age gracefully even with the judgement of a careful eye. Imagine lounging on one of these charming traditional sofas with your guests, enjoying an ale or some gin in an old-fashioned tumbler glass, while enjoying the quality of the leather on your skin, and glancing over the rolled armrests towards your carefully selected, complementary furniture pieces. Let the traditional leather sofas take you back a few centuries and embrace the attraction and classic allure of the olden days. If you find yourself growing in excitement over classical furniture but still feel the need for modern styles and tastes, you might want to opt for a classical sofa with updated design features. The new variety of classic sofas display a large range of proportions, patterns, colours, fabrics, and contours that give classic pieces a much needed refresh. These stylish sofas stick to traditional elements while boasting modern design elements simultaneously . Contemporary versions come in brighter and bolder colours. These range from oranges, bright reds, light blues and as well more neutral earth tones such as grey. The effect of lighter colours prevent your space from appearing too dark and overwhelmed by traditional sofas. These classic sofas accompanied by current design tastes give these pieces a much needed addition of modern chicness that can adapt to your decor. The proportions of the chesterfield as mentioned above have been customized to suite individual needs, variations include everything from constructing a vertical backrest instead of the traditional rolled backrest, to entire re-imaginations such as the L shaped sectional version. These adaptations of the chesterfield all in a sense describe a classic sofa that has evolved and continues to evolve with current design trends. Since the inception of the chesterfield, customizations and adaptations have been created to great effect. 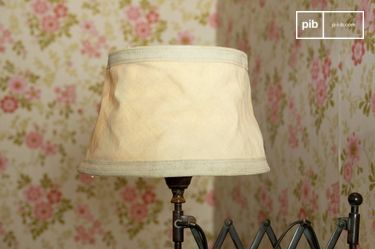 The most common change made to this classic has been the sort of fabric used to upholster the sofa. Fabrics aside from leather, such as linens, and cottons have been used to give the sofa an added comfort that increases its practicality within a home. People looking for a leather sofa upholstered in lighter tones need not worry about stains or fading, as modern furnishing advancements have quelled any fears with the improvement of fabric resistance, which allow pieces like sofas to last well into the future while maintaining their original sheen. 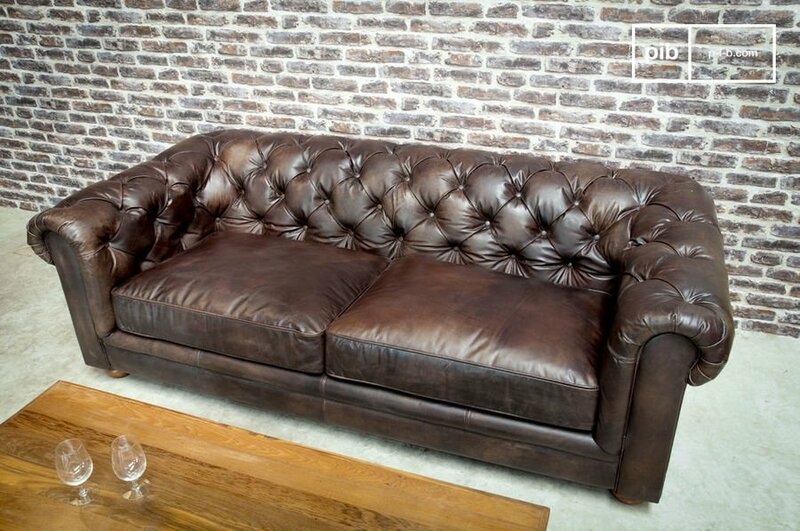 However with age comes character, and leather sofas most definitely age well with time. 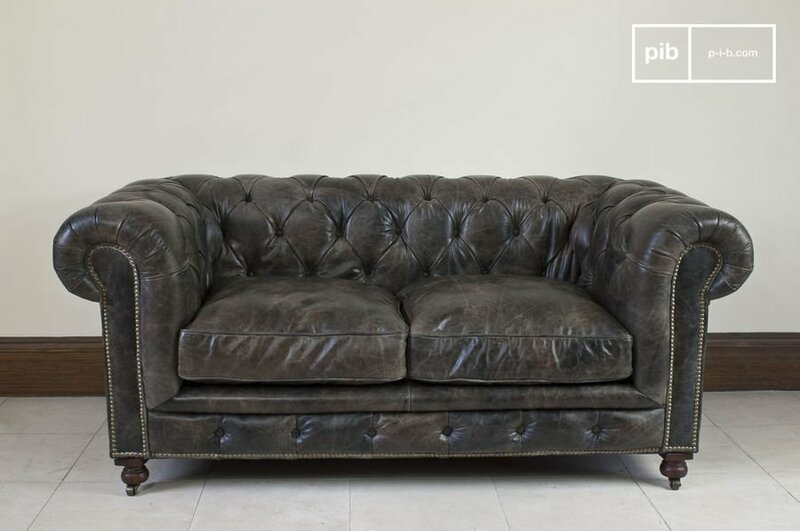 For those who appreciate a shabby side to their décor, a vintage chesterfield could act as the perfect addition to a shabby chic interior needing a touch of class. Aside from the choice of fabric, the pattern in which the fabric has been pinned down using a button, has been as interchangeable as the type of fabric used. The most common pattern seen is the diamond pattern, along with square and triangular tufts that have grown in popularity in recent years. The legs holding up the sofa are a design element that has been changed to suit the tastes of the owner. 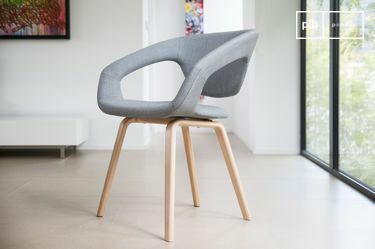 Whether it may be the classical ornate style legs, oval buns or squared legs which give more of a modern look, all these variations of legs have been used interchangeably to suite specific design needs. 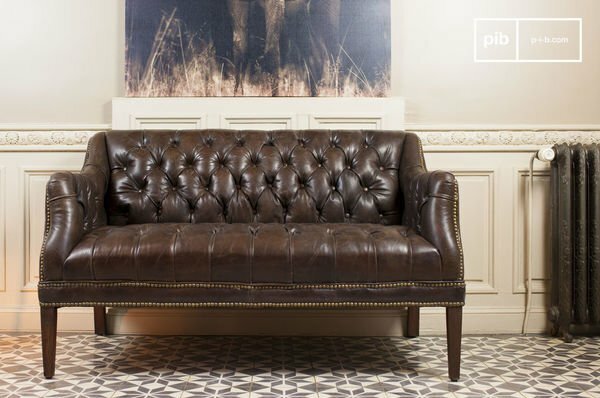 The chesterfield is without question aesthetically pleasing and is made to Impress when entertaining guests. Although, upon first glance some may question whether the sofa could double as comfortable seating to relax on while enjoying a film. Understandably so, at first glance the chesterfield may look more like a piece of décor rather than a functional furnishing tailored for everyday use. In the past sofas lacked comfort due to the lack of springs which were not yet invented or used when this British classic was first conceived, and traditional feathered or horse hair fillings were unattainable for the average person and were luxuries for the rich to enjoy. Fortunately the days of functional yet visually appealing sofas coming in at unaffordable prices came to an end ages ago. More recently the advancement and heightened quality of high end foam stuffing is becoming a more and more inexpensive commodity. All in all comfort is one trait the chesterfield excels in. What it comes down to is the question of quality, which is an important aspect to consider when purchasing any type of furnishing for your decoration needs. Leather sofas leave quite an impression and manage to draw all the attention towards themselves. A great spot for dark leather sofas is in the middle of your living room. Sofas with the distinctive rolled backrest can be presented even from behind, which is usually not the case with other styles. Sofas with low backrests also help accentuate the design of an entire room without becoming visual barriers that can disturb the line of sight in your living space . Consequently leather sofas, such as the chesterfield, can help create a conversational area within a larger room. Not only does it not hinder the view across the room, it also manages to construct a space within a space. However the chesterfield can also be placed against a wall like most other sofas. Variations of the sofa made to have a vertical backrest instead of slanted, have been made for this purpose. The impact of large leather sofas, with their massive forms and loud tufts, have to be carefully balanced out with different pieces of furniture. Modern elements with clean lines or rustic shapes can be integrated into your home to create a much needed balance. Furthermore, strongly coloured furniture and artwork, as well as a playful rug, may be combined to counter those attention-grabbing sofas . A great fit for leather sofas could be for instance, within a modern furniture decor, including a coffee table made of glass or metal accompanied by contemporary artwork, all placed in a room with traditional architectural elements, which complement one another and represent a perfect balance of modern and classic styling. The quintessential British charm which radiates from this timeless piece can also shine through the metallic shades commonly seen in industrially inspired decors that are always in search of a warm and inviting accent to create an indispensable counterbalance. From an aesthetic standpoint the chesterfield is unmatched in terms of character, but its strongest characteristic is its versatility. For those who would like to avoid the dark coloured fabrics usually associated with leather sofas, a bright coloured sofa in blue or green for example, could be the perfect pairing with white walls and an eclectic décor. My favourite mix is still a Chesterfield armchair with a good industrial bookcase and a wooden vintage stool as side table. The clash of materials is really effective.